As football becomes less and less of a contact sport, with its highest paid stars all too often falling to ground at the slightest of touches and the beautiful game suffering, some would say, as a consequence, our increasing collective thirst for high octane, edge-of-your-seat experiences in the sporting arena will have to be quenched elsewhere. Mixed Martial Arts is on the up, thanks in no small part to global phenomenon Connor McGregor. Boxing has rediscovered its mojo, with the likes of Englishman Anthony Joshua bringing the heavyweight game back into the headlines. And in Ireland, the ancient indigenous sport of camogie is more popular than it has ever been. Those with a nervous disposition look away now – camogie is a contact sport played exclusively by women, which sees two teams of 15 players slog it out for supremacy on a rectangular pitch with long, flat wooden sticks known as hurls in hand and a ball as hard as the road. It is played a breakneck speed with single points and three-point goals up for grabs. Watching camogie being played, you would be forgiven for thinking that those teams with the fewest injuries after a hard-fought 60-minute game might consider themselves victors, of sorts. 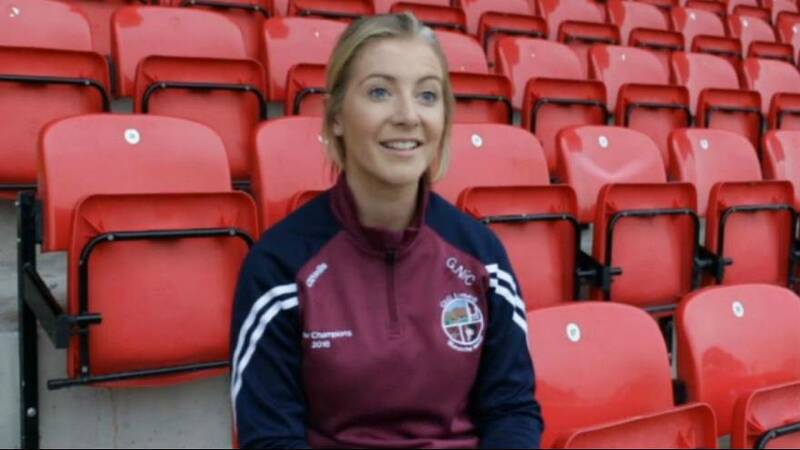 But Grainne Ní Chatháin, All-Ireland champion wing halfback with County Derry club side Slaughtneil, says, with reasonable understatement, that camogie is “really not as bad as it looks”. Camogie has been played in Ireland for hundreds of years, long before the Greeks established the Olympic Games, and is today, as it has always been, an amateur sport, governed by the Gaelic Athletic Association and sister organisations like Ulster Camogie. Ní Chatháin, her teammates and coaches play “for the love of the game”, a love instilled in many Irish girls from a very young age. “Where I’m from, GAA is just part and parcel of the community,” says Ní Chatháin. “I was playing camogie when I was five or six. My older brothers (played Gaelic football and hurling) and my sister played camogie, as well as friends, neighbours, everyone. It was really the done thing to do. While soccer continues to be popular in Ireland, with its international team bringing smiles to the faces of millions during an heroic showing at the European Cup in 2016, Ní Chatháin explains that the native Irish sports of Gaelic football, hurling and camogie will always hold a special place in the hearts of the Irish. “Everyone loves to see the Irish soccer team doing well but there is a passion for GAA sports in all 32 counties of Ireland that the GAA has promoted and which I can’t see ever waning. The current All-Ireland senior camogie champions are Cork, who bounced back from a defeat in last year’s All-Ireland final to beat reigning champions Kilkenny by a single point. Ní Chatháin’s club, Slaughtneil, meanwhile, which was founded in 1953 and named after Irish revolutionary Robert Emmet, has Gaelic, hurling and camogie teams under its umbrella and plays its home games in Emmet Park. Ní Chatháin is one of its star players and enjoys playing in a defensive position for her team, despite the obvious challenges.